Meet UK comedian Sara Pascoe: clever, opinionated and vivaciously funny. She also appeared on (and won) an episode of QI last year so she’s probably the coolest person ever. 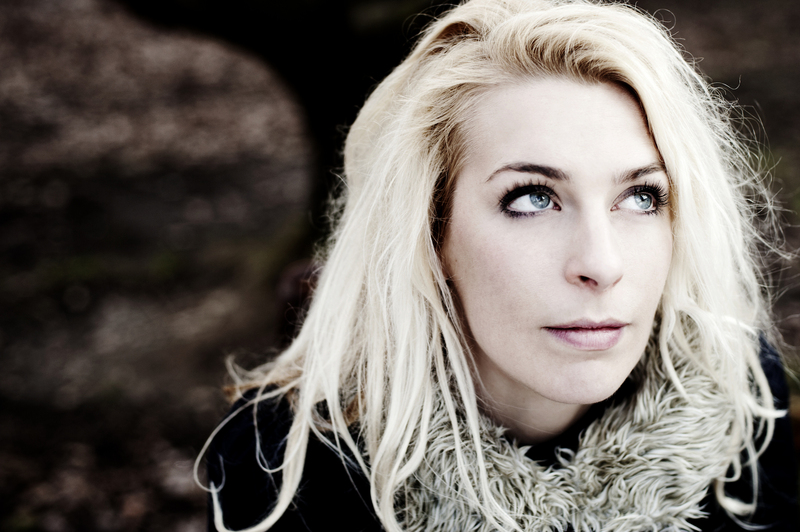 Sara Pascoe VS the Truth, showing at the Melbourne International Comedy Festival until April 20, is Pascoe’s Australian Premiere and should not be missed! Comeditrix? Lady Jester? Femi-fun? I hate the word comedienne, but I guess it’s no different to being a waitress rather than a waiter. It’s just that I can hear disdain in the word. I like describing myself as a comic, as that creates anmage of some hardy alcoholic ravaging their psyche searching for a laugh so big it’ll drown out the pain. Right? As an experiment, something to do in the evenings, I didn’t expect it to become my job. I am not a ‘funny person’. Was never a class clown, I am super earnest and dull and get annoyed when people use humour in real life as a way to avoid being serious. FUN! But I fell deeply deeply in love with stand up as a way of communicating ideas with other people. What do you like about stand-up comedy compared to other styles? It can be more authored, the ‘voice’ of who is speaking is as important as the jokes. I’ve read that you’re a fan of Nietzsche, can we expect this to be reflected in your show at the Melbourne International Comedy Festival? Oh yeah, but in a very accessible way. It’s a very shallow investigation of the great man, but he is one of philosophy’s most intriguing figures. I just read a great novel called ‘When Nietzsche Wept’ about the three way relationship that he attempted with Lou Salome and Paul Ree, its is very well researched and a great way in to his life for anyone interested. Any favourite quotes you’d like to share? I love the Marquis De Sade “do not topple their idols in anger, pulverise them in play”. It is so important to remember that no one listens when you shout, but that ideas should be discussed and explored in creative and fun ways if you want to share them. Hence why stand up can be powerful. Do you identify as a feminist and if so, what’s your feminist philosophy? I do, but I love that the term does not mean we all have to agree, part of the excitement of feminism moving into the mainstream is the amount of things we disagree on. That proves that more disparate voices are becoming involved, that hopefully all women, young and old, and from all cultures feel that their opinion is as valid as anybody else’s. Any woman’s experience as a woman makes her as relevant and important to debates about womanhood as any intellectual. And obviously men are not excluded from the debate either. Do you think audiences react differently to male and female comedians and if so, how? I don’t know because I have never been a man, so I don’t know how it feels to be one. But it is so rare that I have felt judged on my gender at a gig, reminded yes, people love to tell you you’re a woman, but onstage it doesn’t affect how my set goes down. What advice can you give to aspiring female comedians? Same as to male comedians, write all the time, the more awkward and embarrassed you feel about something, the better it will work as stand up, get obsessed with the medium, watch all of the stand up you can find on youtube, record and listen back to your gigs, write them up if you can- with notes on what you are working to improve and have a higher turn over of material than you feel comfortable with so it is always scary. Also be aware that after a couple of years your digestion and adrenal glands will be broken and you will never listen properly in a conversation not about you ever again. A big bowl of hummus. This entry was posted in Arts, Comedy and tagged comedian, comedy, lip, melbourne international comedy festival, MICF 2014, q&a, Sarah Pascoe, stand-up. Bookmark the permalink.